Many channels, including Challenge, TCM, S4C, BT Sport and Al Jazeera English are affected by a change in the satellite service for the UK. accommodated on Astra 1N's UK spotbeam. 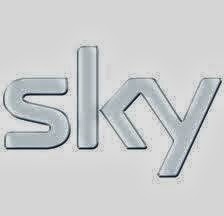 Your Sky box will automatically be updated. Your box will be updated to find affected channels on their new frequency. Your Freesat box should automatically be updated. Humax receivers will automatically update overnight when on standby. The Freesat EPG will automatically redirect receivers to the relevant current frequency. Should channels go missing, switch off the Freesat box for a couple of minutes to allow the receiver to record changes. If all else fails, manually rescan your Freesat receiver. Will need to manually retune services at least twice in the next fortnight to regain access to any service that disappears (once around 30th September, the second time between 4th and 10th October). Main channels including BBC One, Two, itv, Channel 4 and 5 are not affected. Unlike Sky and Freesat boxes, generic free to air satellite receivers do not have the benefit of receiving automatic updates, or having access to an EPG that is programmed to redirect the receiver to the new frequencies. Use websites such as King of Sat or Lyngsat to check current frequencies for services at 28 degrees East (the orbital position for UK and Ireland services). See above for information regarding the satellite receiver being used. Non Sky/Freesat receivers, including satellite receivers sold outside the UK and Ireland come under “generic free to air receiver”. The Europe-wide footprint of the Eutelsat 28A satellite (the satellite from which services are being moved) varies slightly to the pan-European beams of the Astra 1N/2F satellites (the satellites that will host displaced services). The final situation will become apparent after October 4th when services begin transmissions on their new frequencies and parameters. In the meantime, some channels have been temporarily accommodated on Astra 1N's UK spotbeam, reducing coverage outside of North West Europe. If you are manually retuning, this is where services have gone to for the time being. See how the changes are happening for news channel RT - an example of the many changes taking place across the 28 degrees East satellite platform this week. A basic outline of why services are needing to change frequencies and why SES/Astra and Eutelsat are in dispute.